Ella Huggins Hoffman was called to her eternal heavenly home on February 2, 2019 surrounded by her family. Ella was born on August 25, 1939 in Lenoir County to the late David and Phoebe Huggins. Ella is survived by daughter Donna Willoughby and husband Gary, son Gary Hoffman, grandson Eddie Beddard, brother Randall Huggins and wife Linda, sister-in-law Ruby Huggins and a host of nieces and nephews. Ella was preceded in death by her husband, Lewis “Ham” Hoffman of 46 years, her parents David and Phoebe Huggins, brothers, Richard, Tom, William “Bill”, sisters, Faye Huggins, Hazel Phillips, Peggy Tripp, Rachel Seymour, Lib Harrison, and her special friend Carlton Williams. 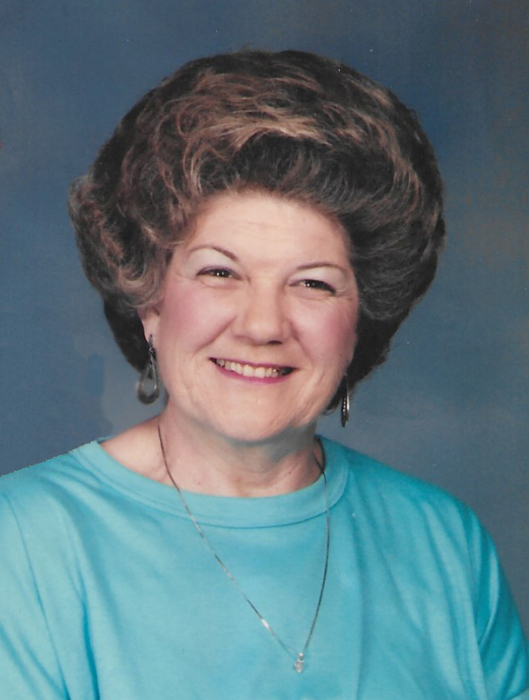 Ella was a retired hairdresser and floral designer. She served her community as a volunteer at Lenoir Memorial Hospital and was a member of the Grifton Eastern Star. Ella loved her church and church family (Tanglewood and Grifton First Baptist). Ella enjoyed reading her Bible and a good book, spending time in Myrtle Beach and being surrounded by her family and friends. Ella resided in Grifton until five years ago. At that time, she made her home at Herritage Elite in Kinston. A special thank you to her niece; Ann Sessoms and nephews; Steve, Danny and Tommy Tripp for their loving care. The family would like to thank Lori and Mike Ingles and staff of Herritage Elite for loving Ella as family, Greendale Forest Nursing Home of Snow Hill, Vidant Palliative Care and Hospice of Greenville for their compassionate care. A service of celebration will be held at Garner Funeral Home on Tuesday, February 5, 2019 at 6:30 p.m. Visitation will follow the service and other times at the home of Randall and Linda Huggins at 2680 Fred Everett Rd in Kinston. Graveside service will be held at Westview Cemetery on Wednesday, February 6, 2019 at 11:00 a.m.